We finished up the tournament today and I managed to pull together three more losses. But no matter, we ended up getting the ‘Swamp Gobbler’ medal (last place). We also came away with the medal for best sportsmanship. It’s funny how people seem to really enjoy playing us… And winning. 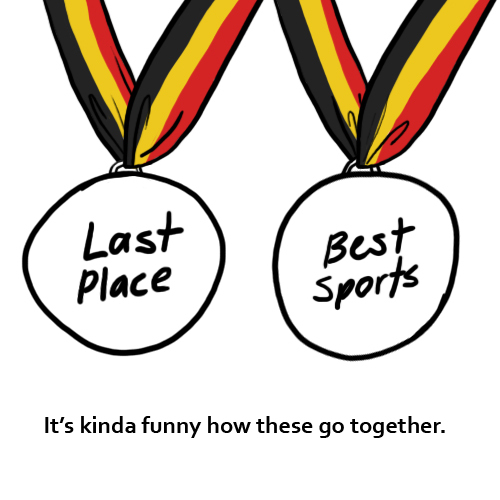 But hey, we walked off with more medals than any other team.